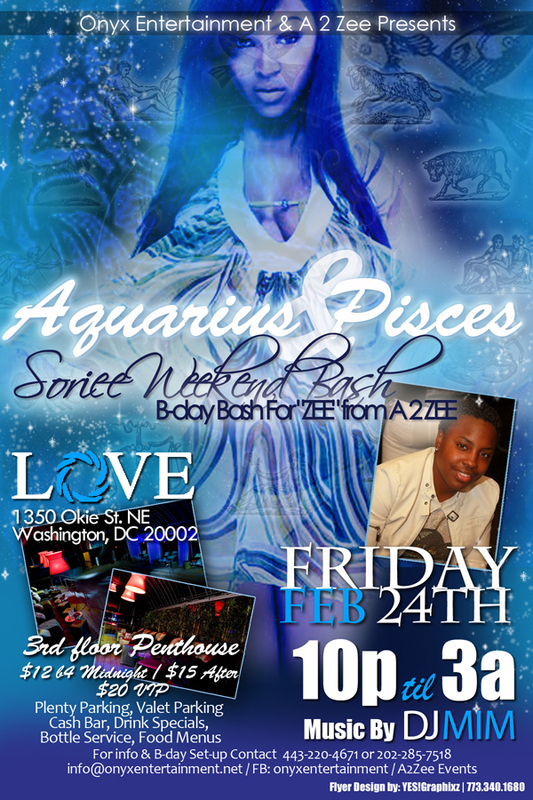 This Friday… Aquarian & Pisces Bash at @LoveNightClubDC w/ @DJMIMDC! & Bday Bash for “Zee” of A 2 Zee Events! This entry was posted in DJ MIM, Events and tagged Aquarius, dj mim, DJMIMDC, Love Nightclub DC, Pisces, Zeeinspired, Zekeera Belton by MIM Entertainment. Bookmark the permalink.